Tyranny of the Muse 2 is finally in print and you can pre-order it now before it launches on October 8, 2014! And if you do, you'll get a very exclusive, one-of-a-kind free gift. More details below. 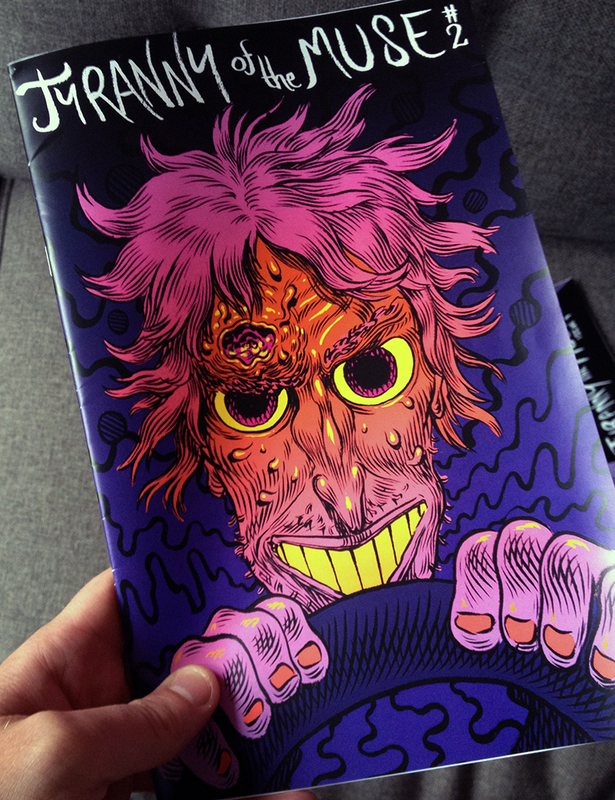 Pre-order Tyranny 2 right now and not only will it be signed by both myself and Jesse Balmer, but you'll get a free, HANDWRITTEN short-short by me featuring Frank and/or Bonnie from Tyranny! Pretty cool, right? I'm gonna have one helluva sore hand. But it'll be worth it. This is a one-time deal, so if you don't get in on the pre-order, you'll miss out on the exclusive. The book will ship on October 8! If you're in the SF Bay Area, you can also pick up a copy of Tyranny 2 at APE on Oct 4-5. Jamaica Dyer, Jesse Balmer, and I will be there at table 907A with copies of not only Tyranny 2, but the collaborative horror zine Chrysalis by Jamaica and I, and lots of other cool stuff. Stop by.